“I just have to build a great product and the customers will come organically” was my biggest misconception. Coming from an engineering background, a good quality solution to a problem was the only thing that mattered. But then reality kicked in and smacked me in a forehead saying: “You moron, they don’t even know your product exists, let alone that they can benefit from it”. Some good old advertising could show some results very fast, but I want to talk about the long game — about building a brand. Building a brand often starts when the product is finished, as part of the marketing strategy. The idea here is to start building the brand as soon as you start building the product. But first of all, what is a brand? I will try to answer this question by saying what is NOT a brand. Despite popular belief, a logo is not a brand. Also, colours, fonts, patterns and overall visual identity is not a brand. Your mission statement is not a brand (it is getting warmer though). 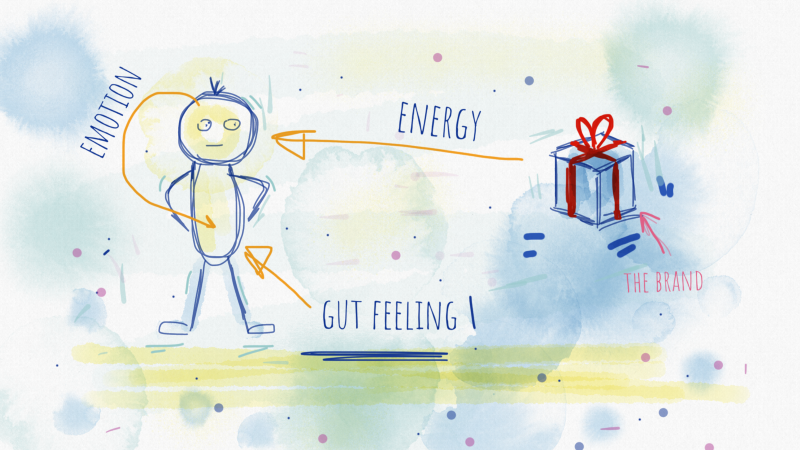 A brand is a gut feeling. When people interact with your product, they develop a set of feelings derived from the experiences they had with it. If your product is helpful, they feel grateful. If your product is entertaining, they feel amused. If your product is premium, they will feel confident. Also, if your product is crappy, they will be pissed. So, a brand is not what you say it is — it is what your customers say about your product. It is how they feel about it. It is your mission statement from the customers perspective. Nowadays, people have too many choices and abundance of similar products in the same category. All these offerings have a similar quality. A similar set of features. Fall in a similar price range. When you take these facts into consideration, beating the competition seems like winning a lottery ticket. So, how to persuade the customers that your product is the best out there? Well, first of all, you should know where does the buying decision come from. It comes from our subconscious mind. And if you build a brand which makes people feel good and confident, you’re on a roll. We tend to base our decisions on trust. And that is why building a brand is important. Customer oriented brands (or customer obsessed brands) have a substantial customer relationship history which enables them to influence their minds based on previous experiences. Having a brand long enough builds the trust, and the trust makes buying so much easier. The trust that I’m referring to consists of reliability and delight. 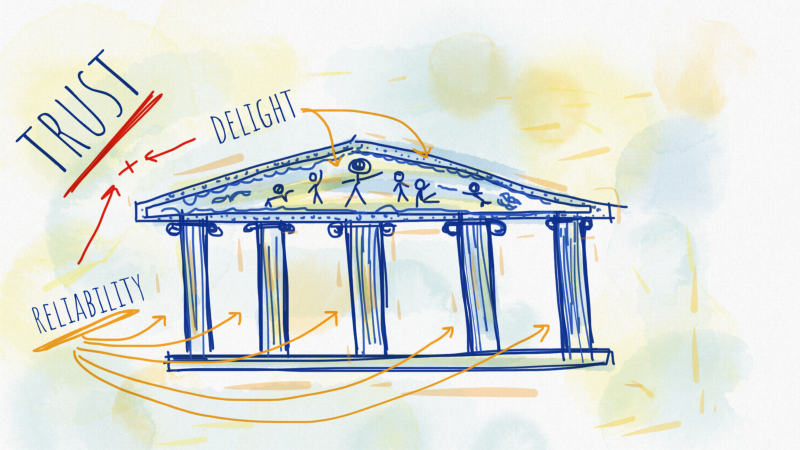 In order to build the trust, your product has to be robust and reliable, but also sophisticated enough to delight your customers and make them go “wow, I want that!”. Having a strong brand gives you a better starting position in the market. It is more likely that the customers will choose you over a no-name product since they’ve developed a set of feelings as an association with your brand (hopefully a set of positive feelings). Ultimately, building a brand is a long game which has the highest return on investment. Having a strong brand will get more people to buy morestuff from you for more years to come at a higher price. If you have a brand that resonates with your customers, they will talk about it to their friends and colleagues. Word of mouth is like a wildfire, the best marketing you can get. This attracts more people. If you have a range of different products and customers are happy with the ones that they’ve tried out, there is a big chance that they will try more of your products. This means that they will buy more stuff from you. As I said, there are so many offerings which drive your customers into analysis paralysis. They’re over-thinking and over-analysing before making a buying decision. In order to avoid this dreadful feeling, they are likely to stick with the brand they trust and will buy from them for more years to come. If all these ingredients are in place, paying the premium price will not be a problem for your customers. Based on their previous experience and their gut feeling, they will be sure that buying from you is their best choice. The higher price buys them not only the product but also the ease of mind. And that feeling will subconsciously justify buying at a higher price. Companies which have already established a strong brand enjoy the luxury of being trusted. Sometimes, they can even get away with a crappy product, at the expense of previously earned trust (reliability + delight). Their products are branded. On the other hand, newbies and startups are faceless, unknown to the general public. They might have a small niche market, but they are far from being a brand. Their products are not branded. But in order to succeed and penetrate their target market, their products have to be brand-led. I’m not sure if brand-led is a word, but I’m sure that it’s a good compass. Being brand-led means that the product design, product features, customer service and all other aspects of the whole product are focused on that gut feeling that you want your customers to feel. Brand-led thinking from the very beginning of the product development will do good for you. First of all, you will always put yourself in the customers’ shoes. As a result, your product will look better in their eyes. Secondly, even though you don’t have a strong brand yet, customers can feel when you truly care about them. And that feeling is the closest to the one you want to get. Ok, so how do you integrate this brand-led strategy into your roadmap? Most of the product teams are using some tools to keep track of the tasks and features which they want to implement (might be Asana, Trello, Microsoft Teams, Salestrekker, etc.). The value that these tools bring to the team is focus and transparency. And the same way you’re planning your product development, you should plan steps to build a brand along the way. And what are the tasks related to building a brand? Here’s what I found useful after asking myself the same question. 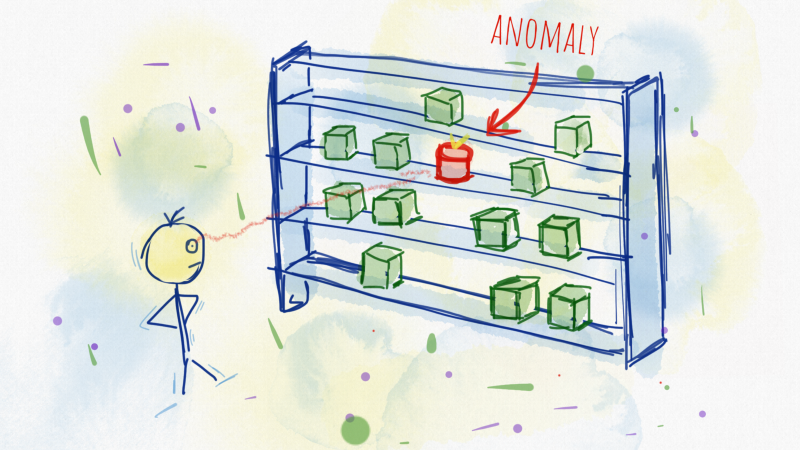 When building a new product, you should first know who your customers are. The same applies to branding. A brand is your tone of voice, and when you’re speaking to your customers you have to know who they are and what do they expect/need. If you’ve been living under the rock and haven’t read Crossing the Chasm, you should definitely go for it right now. It beautifully describes the stages of the technology adoption. In order to make the most out of this model you should first position your product so that it fits the needs of one of the adopter groups. This is an introspection exercise, where you have to be brutally honest with yourself and find the group that would buy your product. For most startups, innovators are the entry point to the market. As a brand, you are selling a promise. You are selling a hope that will inspire your customers. It is most likely that this group will be the first to try your product out. They are in a constant pursuit for new technology and they will sleep in a tent in front of the store to get a new product first. They have to be on the bleeding edge of the technology, it’s in their DNA. We all know somebody that obsessed. Their buying motivation is high, they want to try the product out and see if it can improve their lives or their corporate environment. What kind of brand do they want? Innovators want a unique functionality which will give them some kind of advantage over competitors or peers. It has to have a unique design to make them feel special and to make them stand out from the crowd. After all, they want to brag about having a bleeding edge piece of technology, so make sure that the product feels sophisticated and high quality. Also, you should emphasise that your product is first of a kind out there. Buzzwords are obligatory and they love the ride on the hype train. This group is also first to buy. But unlike innovators, this group is highly demanding when it comes to quality. However, early adopters are the least money-sensitive group so the quality demand is somehow justified. As visionaries, they will definitely expect a quantum leap forward in how their lives or businesses improve by using your product. Early adopters are not necessarily tech-people, but they have a strong understanding of how the technology works. More importantly, they have a firm understanding of the benefits of using a new product. Make sure that you relate benefits of your product to their concerns. They want an innovative product which addresses their pain points by order of magnitude better than the competitive products. Also, make sure that your product can be personalised and custom made to meet their wildest expectations and special requirements. This group has a moderate buying motivation. They will spend their money only after they see the proof that your product is worth it. However, they are not as demanding as early adopters. They will settle with an incremental improvement as long as it is a good quality product with high reliability. They are hype-resistant and you will have to work hard to persuade them to buy. 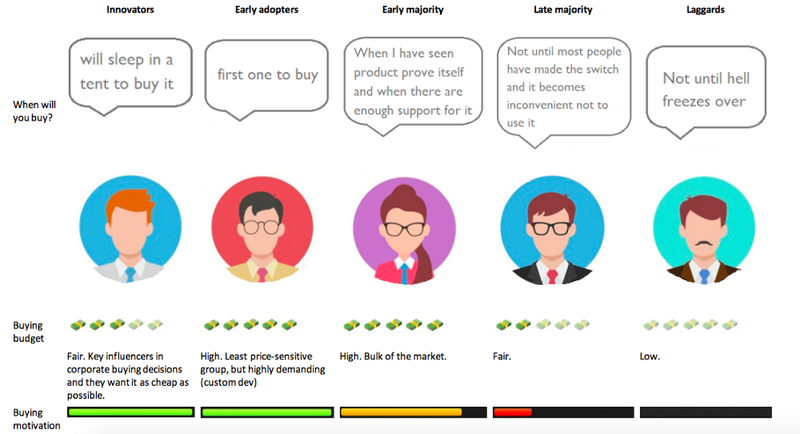 Early majority wants a well established and proven product. You should emphasise the references from your previous buyers/segments and let them know that the benefits you are promising are actually in place. Also, you should tell stories about customer experience and how great your customer support is. Your product has to feel robust and high quality since this segment is in for a long run. They will spend their money, but they expect to use the product for a long time. So make sure to stress the practicality and longevity of your product. This group is comfortable with their current solution to a problem. No matter how hard they work on that solution, they got used to the process. They will not make the transition to a new product until most people made the switch. Actually, they will make the transition when it becomes really inconvenient not to use a new product. Late majority wants to have a product with the largest installed base. They want to have an high quality support for the product and lots of third-party supporters. They want the product from well-established companies. The product has to be de facto standard in the field. Since the buying power of this group is relatively low, this is rarely an interesting market for tech products. Knowing you market segments will help you decide which message you want to send to your customers. As a brand, you are selling a promise and a hope. Those feelings will inspire your customers and the inspiration will enable them to imagine a better future for themselves. And if you can spark their imagination you will incept the idea of a better future with your product in their hands. Physique is a general appearance of the product. Although I’ve said that the logo, colours and visual identity is not a brand, it is quite important. Why? Because the appearance of your product is what triggers the emotions of your customers. And to figure out what emotions you want to hit brings us back to the previous consumer model from the technology adoption lifecycle. The package itself is not crucial, but it will bring you a few bonus points. Make sure that you add this task for your designer. You should focus on the messages that you send to your customers. The product you are building should have the same tone of voice as a person which your customers can relate to. This way, they will feel like a part of the tribe. And that feeling, this sense of belonging, builds the trust and makes buying easier. So make sure that you create a character, a persona that reflects your product and enables your customers to relate with that imaginary friend. Personality provides an image of a single figure. Often, a single figure is unable to define the culture of the larger group. To define the tribe which your customers want to be part of, you have to share the core values of that tribe. By sharing these values, you give the consumer a peace of mind or a certainty that you have the same beliefs. The customer accepts the group’s norms, values, and perspectives which makes him a part of the group. And if one of the norms of that group is having your product — everybody will want to have it. The sense of belonging feels good, but each member of the group is aware of their individualism. This moral stance emphasises the worth of the individual and values independence and self reliance. So make sure that your customers are aware of who they are when using the product. What superpowers can they gain with the product in their hands. Tell them what can be achieved and persuade them that they can do even more. They will feel empowered, inspired and eager to try the product out. As I said, people have too many choices and abundance of similar products in the same category. We know that humans are great at developing filters which will protect them from unwanted noise. In this case, this filter makes us immune to the abundance of choices and we buy what we already know. Also, humans are great at recognising patterns and even better at noticing anomalies in those patterns. And in the highly competitive market, you want to be an anomaly because you want to be noticed. If your competitors zig, you should zag. Don’t get me wrong, these anomalies are not necessarily radical, they could be a slight difference which will make you stand out from the crowd. For example, you could be selling bathing suites made out of recycled ocean plastic. The product looks the same as others, the package is the same as others, but what makes you stand out from the crowd is that you are selling a cause. You are selling a promise of a better future. This will break the pattern and you will be noticed. As an exercise, you should have the compelling answer to the following questions: Who are you, what do you do and how does it matter. If the answer is inspiring and unique, you’re on the right path. Make sure that you address these questions. Especially number 3 because it is supposed to spark some good feelings leading to the compelling reason to buy. Communicating their benefit should be your top priority. Building a brand to represent your product is fine. But what this article is supposed to suggest is to build the product in a way that it will become a brand by itself, by its sheer quality. If your roadmap is focused on customer benefits, you will definitely become people’s top choice.